No set details known. One show, with Springsteen and band the sole act on the bill. The show was about two hours in length, with a short intermission half way through. Two cover songs were introduced into the live repertoire during the Oliver’s residency, the surf instrumental “Apache” and Johnny Cash’s “Ring Of Fire”. Both were only performed sporadically throughout the remainder of 1973. Greetings Tour Sound Manager Albee Tellone comments: “When we got back from the ill-fated California trip Bruce bought himself an Echoplex that he used for guitar effects. I had to set it up for him each night. The reason he started performing “Apache” was because he could reproduce the exact sound of the original record”. 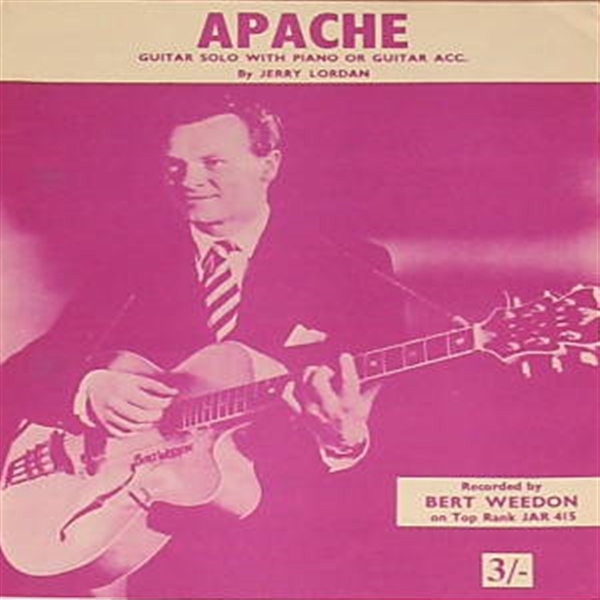 "Apache" is an instrumental written by English composer Jerry Lordan. The original version was by Bert Weedon, but Lordan did not like the version. The British rock group The Shadows recorded "Apache" in June 1960 and released it the next month. It topped the UK Singles Chart for five weeks. English songwriter and composer Jerry Lordan came up with the tune. The title "Apache" reflects the source of Lordan's inspiration: the 1954 American western film Apache.